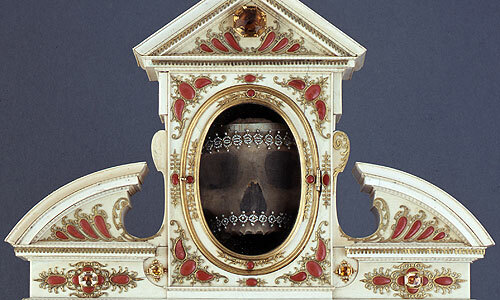 Relics usually include not only the bones of saints but also objects closely associated with them or used in their daily lives. 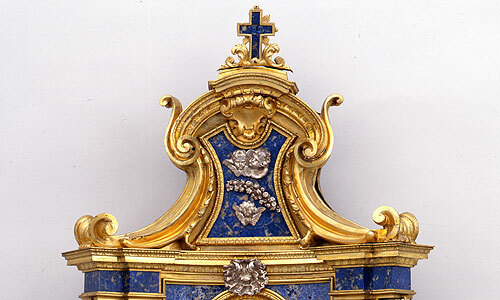 The collection of relics in the Munich Residence was begun during the Counter-Reformation. In 1577 Duke Wilhelm V was given the required permission to acquire relics by the pope. Wilhelm's son, Maximilian I, expanded the collection and housed the reliquaries (precious containers made for relics) in the Rich Chapel, his private place of worship. 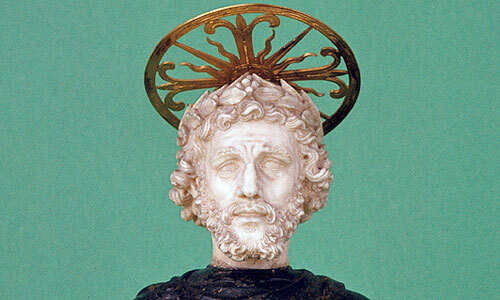 In the 19th century the reliquaries were still regarded as the most valuable treasure in the Residence. Some sixty reliquaries have survived from a period dating from around 1590 to 1640. 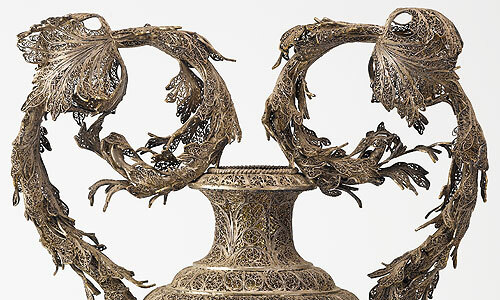 They include outstanding works by Munich and Augsburg goldsmiths.